The more we find about “Troopergate” the more justified Sarah Palin seems in firing Public Safety Commissioner Walt Monegan. The increased media attention to the controversy has revealed both men at the center of the inquiry have disturbing records of physical abuse against their family members. Monegan is the man who Democrats believe GOP vice presidential contender Sarah Palin improperly used her political power to fire over his alleged unwillingness to fire Palin's former brother-in-law, Wooten. He recently admitted dislocating his wife's shoulder "by accident" by "wrestling and tickling" her according to the San Francisco Chronicle. His estranged wife Georgene Moldovan, however, tells it a little differently. Moldovan said she sought a restraining order against Monegan in 1994 after he threatened to kill her, waved a gun at her and knocked her shoulder out of socket, according to court papers. The court papers say: "he pulled out his gun and waved it at me outside my home and yelled he would kill me if I stopped him." Moldovan told the SF Chronicle that Monegan "would show up unannounced and break into my apartment and do threatening things. I was forced to get a restraining order because I was really fearful he was going to harm me." She said he also threatened to throw her body into a cold, Alaskan river. Monegan, for his part, said his ex-wife was telling "either half-truths or pure fabrications." According to a barrage of documents, including government emails, released by her lawyer, Governor Palin fired Monegan for insubordination. 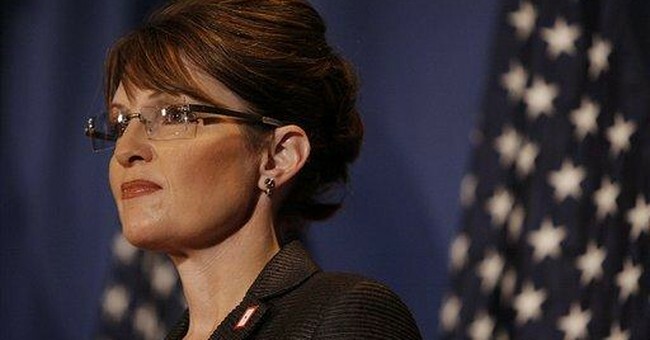 Democrats have accused Palin of "abusing her power" in firing Monegan, who was a political appointee. The Alaskan legislature is now leading an ethics investigation to determine if Palin improperly fired Monegan. Palin's foes say Palin really fired Monegan over his refusal to terminate trooper Wooten, who recently ended a bitter marriage with Palin's sister, Molly. Like Monegan, Wooten has a violent history with family members. Monegan’s firing was unrelated to Wooten, but Palin did make her concerns about the trooper, who admitted to “tasering” his stepson and who has had a restraining order issued against him by his ex-wife, known. Fein cited evidence showing Monegan defied the Governor by making public requests for projects Palin did not support in her budget, such as an $1.8 million increase for the Anchorage Community Land Trust (a project Palin had previously vetoed) and by planning an unauthorized trip to Washington to lobby the Alaskan delegation for more money. Monegan wanted Washington to give him between $10 million and $20 million to rehire retired troopers to specialize in sexual assault cases. The Palin administration maintained Monegan needed to fill his 56 general enforcement vacancies that already had an existing funding stream before hiring specialized enforcement staff outside the budget. Flein also included an avalanche of 2008 emails from Palin’s staff that discussed Monegan’s, a political appointee who served at the Governor’s pleasure, disruptive agenda in his report. None of the emails mentioned Wooten.